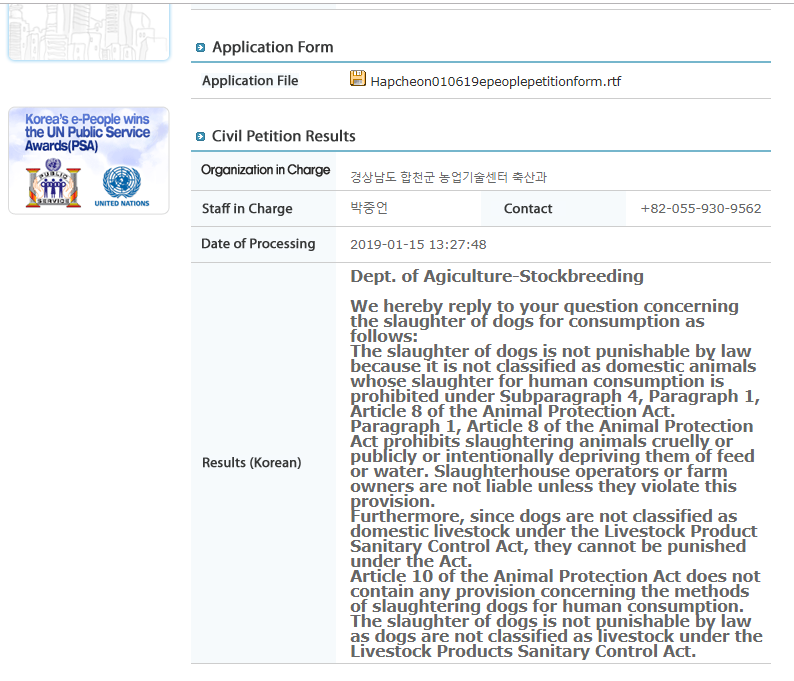 Below is Hapcheon’s response to our petition: Hapcheon, South Korea, Shut down the illegal dog meat farms, slaughterhouses and markets. Sounds like a disgraceful cop out. Do your job and enforce your laws and moral obligations please. This behaviour is a stain on your whole nation. Thank you. I appreciate the Koreandogs.org reply to the response from Hapcheon’s mayor which only scratches the surface of the problem. Our reply is much bolder and encompasses more of the issue that needs to be addressed. Thank you and I respect what you’re doing. That city is run by people with no heart or compassion. Effecting change there will be difficult.